This is a Kannada language (the language mainly spoken in the state of Karnataka, India) film made by the renowned filmmaker Girish Kasaravalli hailing from the same state. 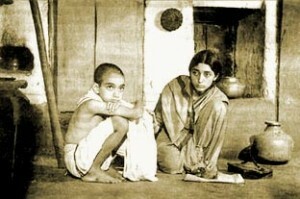 The film is set in a remote village in the state in 1920; a traditionalist rural society where women are forcefully downtrodden. The story revolves around two characters: a little boy named Ajit who comes to attend a local school run by a village scholar and the widowed young daughter of the scholar named Meena. The narrative of the film unfolds from the boy's perspective. The dainty girl falls prey to the carnal desires of a teacher from the school and is ultimately impregnated. While the girl is still alive, the father excommunicates the girl to avoid social condemnation by performing funeral rites known as Ghatashraddha . The local school shuts down after this soul stirring incident and the boy is forced to go back home. Kasaravalli slowly depicts the stifling social realities of the time by drawing our attention to an array of religious and social practices that seem to perpetuate the interests of the ruling class (the Brahmins aka Hindu priests) and sufferings of the persecuted. The scenes where the male teachers coach the sacred hymns and the male children learn them by rote portray a perpetuation of patriarchy and instruments of maintaing social powers in the hands of a chosen few. Ajit fails to learn the hymns and becomes an outcast in the school. 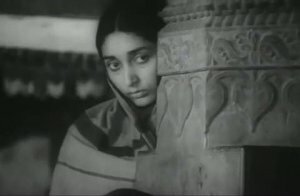 Analogously, Meena becomes pregnant out of wedlock and immediately becomes a social outcast. The two outcasts together accentuate the rigid social fabrics and the conditions of the people who dare to undermine the righteousness of the system. Kasaravalli's command of black and white images is unparalleled. Ghatashraddha is definitely an important social document and a gem in the New Wave of Kannada film history.